A Miracle Cure for Addiction? Though South Beach may be a hotspot for A-list substance abuse, across the causeway a Miami doctor is struggling to legalize an astonishing treatment derived from an African plant. Most people would find it counterintuitive that Miami, the land of the pleasure ethos, of models and VIP parties, could offer anything healthy to a junkie. The nightlife here alone has probably seduced more people into an addiction of one kind or another than most other American cities. 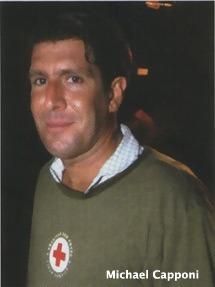 But in 1999, Patrick Kroupa, a pioneering and wildly successful computer maverick, was interested in a different Miami. The days when he could have enjoyed all that South Beach had to offer were long gone. “I shot it all up,” he says, laughing. The Miami Kroupa was after lay in a research lab in the middle of the city. That’s where Dr. Deborah Mash, a University of Miami neurologist, had been studying the effects an African plant named ibogaine had on addicts. Mash believed that ibogaine, which is extracted from the root of the West African shrub Tabernanthe iboga, could interrupt the brain’s dependence on opiates, cocaine and alcohol. She was trying to determine the exact reason why and had some initial government sanction. To help fund her study, with the ultimate motive of seeking approval to make it widely available, she established a clinic on the Caribbean island of St. Kitts. At the clinic, addicts of last resort were treated with controlled dosages of ibogaine in a medical setting. The drug was, and remains, classified by the Drug Enforcement Administration as a Schedule 1 substance, illegal to possess or administer in the United States except by special license. In October 1999, Kroupa was able to round up the necessary cash and flew down to St. Kitts. When he arrived, he hadn’t used in about 12 hours and was in the throes of withdrawal – cramping, cold sweats. “My spine felt like it was being crushed,” he says. Like all such addicts, Kroupa’s body had ceased producing endorphins, a natural opiate that acts as the body’s painkillers. Heroin had taken over that role. When he quit using drugs, his body was left without painkillers and became hypersensitive to stimuli. The end result is constant debilitating agony. Kroupa’s treatment consisted of wearing a blindfold on a bed in a darkened room, listening to soothing music through earphones, and ingesting about 12 milligrams per kilogram of body-weight of ibogaine hydrochloride in capsule form, while attached to a bank of machines that monitored heart rate, blood pressure and other bodily functions. An IV line was inserted in case he needed to be shot with emergency drugs immediately. Kroupa says he felt cured. He no longer craved heroin. But it didn’t change 16 years of behavioral patterns and issues (Kroupa is bipolar) that led him to use heroin in the first place. On his way back to the US., his plane stopped over in Puerto Rico, and Kroupa promptly jumped out and copped a bag of heroin. A little more than a month later, strung out again, he returned to St. Kitts for another treatment. This time he followed it up with a stint in a Buddhist monastery. “That was six years ago,” he says, sipping a Diet Coke at Segafredo on Lincoln Road. He hasn’t used since. Ibogaine changed his life so profoundly that Kroupa signed on to work for Dr. Mash, assisting in clinical studies and managing her databases. For the past two decades, addicts, activists and a range of physicians and scientists have marveled at ibogaine’s ability to “create a cessation of craving,” as Dr. Mash puts it, in people suffering addiction to a range of drugs, from opiates such as heroin and oxycodone to cocaine, crack and alcohol. For people in the field of addiction science the discovery of ibogaine’s effects is nothing short of groundbreaking – on the level, perhaps, of the discovery of penicillin for treating infections. “This is one of the biggest paradigm shifts regarding treatment for addiction in the span of my career,” says Dr. Kenneth Alper, a neuropsychiatrist and associate professor of psychiatry and neurology at New York University, who has studied and written about ibogaine. Star’s interest (the article that came out was titled “Rare Root Has Celebs Buzzing”) was an indication not only of ibogaine’s growing popularity, but also of the substance-abuse problem among the elite. Heroin use has regularly shown up in the modeling industry and among rock musicians. Scientists are still determining exactly how the substance works. It’s believed to break down into a metabolite whose molecules fit into the brain’s opiate receptors like a key into a lock, literally blocking desire. The metabolite can linger for months. This is believed to provide the other remarkable benefit: Ibogaine is credited with preventing post-acute withdrawal syndrome, the extremely painful weaning process that is the most significant stumbling block for any addict to overcome. And yet the reality is that ibogaine is unlikely to be marketed as a medical miracle any time soon. That’s because the unique circumstances surrounding the substance have conspired to put it in medical and commercial limbo. Still, with an estimated one million heroin addicts nationally, twice that number addicted to prescription opiates, and another estimated two million cocaine abusers, not to mention legions of alcoholics, you would think that some enterprising drug company would be interested in figuring out how to turn a buck with this substance. But the experts say that’s not the case. Apparently addicts are not a desirable demographic. “There’s the perception that it’s not a lucrative market to serve,” Alper says, because users are engaged in an illegal act, are prone to premature death and might not have the means to pay for treatment. “But that’s not the case.” Studies have shown that most addicts are employed and have insurance. Then there’s the stigma of working with a psychedelic drug. “The pharmaceutical giants in the world today aren’t interested in looking at hallucinogens as therapeutic entities,” concedes Dr. Frank Vocci, director of the division of pharmacotherapies and medical consequences of drug abuse at the National Institute on Drug Abuse (NIDA), part of the National Institutes of Health. NIDA reviews applications for new addiction treatments. “The bias is that many people, even scientists, believe that hallucinogens are bad for you and nothing good can come from them,” Vocci says. Call it the drug culture’s boomerang effect: Serious scientists may believe that working with a “hippie” drug will compromise their reputation. That, of course, doesn’t mean the compounds don’t hold medical value. As far back as the 1950s, scientists were exploring, with some success, the use of LSD to treat alcoholism. MDMA (ecstasy) was first used to treat the chronically depressed. And of course a nationwide debate continues to rage over the medicinal use of marijuana. And there are concerns about ibogaine beyond the vivid visions it provokes. In heavy dosages it can affect the heart, and at least four people around the world have died in unregulated clinics after being treated with ibogaine, although what role it played in their deaths is not always conclusive. Last month, for example, a man attempting to detoxify with ibogaine died at a clinic in Tijuana, Mexico. The cause of death may have involved a prior existing condition. The deaths highlight what researchers have been emphasizing- that government approval of ibogaine is necessary to prevent unsupervised, clandestine operations from flourishing. Scientific advocates often bring up the analogy of back-alley abortion clinics in the pre-Roe vs. Wade days. On the fourth floor of the National Parkinson Foundation, a generic red-brick building near Jackson Memorial Hospital, is the NPF’s Brain Endowment Bank, jointly run with the University of Miami. Lining the walls of the bank’s narrow hallways are poster-size medical abstracts with titles such as “Offshore Investigations of the Non-Addictive Plant Alkaloid Ibogaine: 1996-2004” and “Functional Studies of the Dopamine Transporter in Post Mortem Human Brain.” Researchers at the brain bank are as likely to be conversing in Mandarin Chinese as in English. This is where Mash, a petite, voluble scientist and the bank’s director, conducts her research. Mash has been studying drugs and their effects on humans for two decades. She made a name for herself in 1991 after discovering that a highly toxic compound, cocaethylene, is produced by the liver when people drink alcohol and use cocaine at the same time. But her current passion is ibogaine. “Hobby” does not do credit to the time and energy she has expended on the drug. She runs studies and writes grant proposals. Failing to get the money and acceptance needed to treat patients with ibogaine, she set up the offshore clinic. She did this because, scientifically speaking, she is convinced ibogaine is a “slam-dunk” treatment for opiates, and it frustrates her that it is not available in this country. There have been some optimistic developments. Mash discovered noribogaine, the metabolite ibogaine produces after it enters the body. Mash believes noribogaine blocks the brain’s opiate receptors. And because noribogaine is stored in body fat and releases slowly over time, its effects continue for up to 90 days. Mash has received patents for the use of noribogaine and now hopes to attract investors. “My fantasy,” she explains, “is to obtain a joint venture with a pharmaceutical company to develop the metabolite.” She envisions a treatment scenario in which a patient would be able to take an “ibogaine journey one or two times in a clinical setting and then wear a patch containing the metabolite,” she says, much like smokers wear a nicotine patch. Based on research from St. Kitts, the FDA has approved human trials here in the United States. Mash must now decide if she wants to continue studying ibogaine or simply focus on noribogaine. And, of course, she’ll need money. Some initial funds have come in from donors who wish to remain anonymous. As Mash will tell you, it’s a start. But there have been many starts in ibogaine’s circuitous history, and progress never seems to materialize. Lotsof gave the drug to 20 people, seven of whom suffered heroin dependence. All seven reported that after one dose their cravings disappeared. Lotsof took up the ibogaine cause. He studied it and formed a nonprofit organization, the Dora Weiner Foundation, to promote its use. When that didn’t garner the attention necessary to raise money, he formed a for-profit corporation, NDA International, and in 1983 filed patents on the use of ibogaine to treat dependence. But he was never able to secure the funding necessary to bring ibogaine into mainstream use. 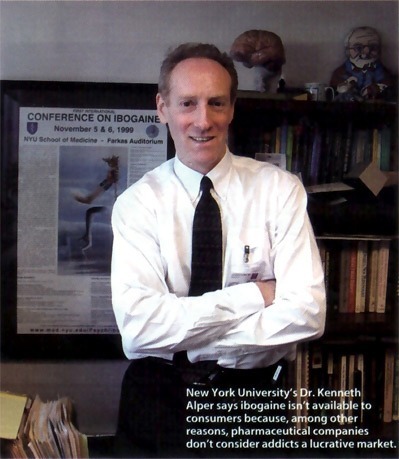 In 1991 he partnered with the advocacy group International Coalition for Addict Self-Help in the Netherlands, which set about treating patients with ibogaine. Whatever momentum the movement was gaining nearly stopped cold when a patient at the Amsterdam clinic died in early 1993. News stories state the cause of death was inconclusive. But Mash, who had been visiting the clinic, has stated publicly the cause of death was accidental overdose. It was enough to put a chill on proceedings in the Netherlands and in the U.S., where NIDA was monitoring events. But Lotsof’s aggressive salesmanship did help seed interest. His company, NDA, contracted with Dr. Stanley Glick at Albany Medical College in upstate New York to run studies. Glick’s tests on animals supported the growing body of evidence regarding ibogaine’s success treating opiate dependency. Mash collaborated with Lotsof, traveling to the Netherlands to observe operations in the clinic there. In fact, Lotsof signed a partnership agreement with the University of Miami to further ibogaine studies in the States. In 1993 the FDA gave Mash permission to test ibogaine on humans in the U.s., but only on subjects who had already used the substance. Pharmaceutical companies underwrite the majority of studies. 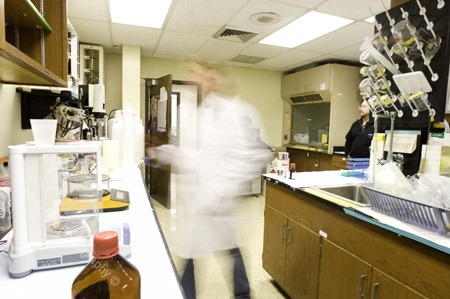 NIDA provides money for studies on a smaller scale. But the scientists NIDA recruited to review the application had concerns about ibogaine’s safety. 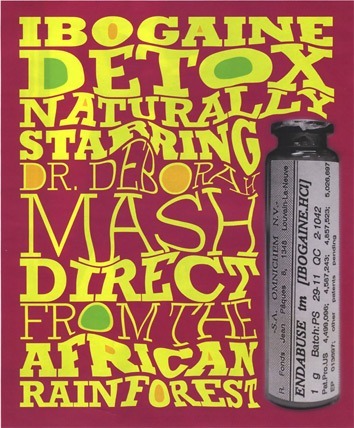 Frustrated that she had permission from the FDA to clinically test ibogaine on humans but couldn’t afford it, Mash found some investors and negotiated with the island of St. Kitts to bring the drug into the country for clinical trials and treatment in 1996. By this time, Mash and Lotsof’s partnership had devolved into lawsuits, with Mash claiming that Lotsof was trying to control the discovery of noribogaine and Lotsof countering that the St. Kitts clinic violated his agreement with her. The two have since severed their relationship. Lotsof now says that he has quit the regulatory game and focuses his efforts on a patient’s-bill-of-rights endeavor that would legally guarantee ibogaine as an option for recovering addicts. When the Healing Visions Institute for Addiction Recovery opened, it served a dual purpose, Mash says. Patients signed waivers so their data could be used to further her studies of ibogaine, while addicts desperate to quit their habits were relieved. “Many of these people were chronic relapsers,” she notes. That shuttered one of the few professionally run ibogaine clinics in the world. And for suffering addicts that continues to be a problem. Even as Mash struggles to win ibogaine’s mainstream acceptance, a blooming subculture of addict self-help groups thrives worldwide as word spreads.